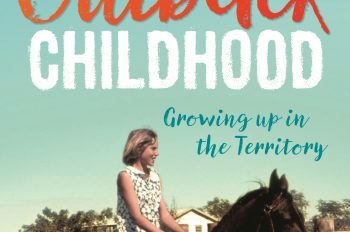 A Sunburnt Childhood is a memoir as vivid as the land it depicts, full of colour, characters and contradictions. 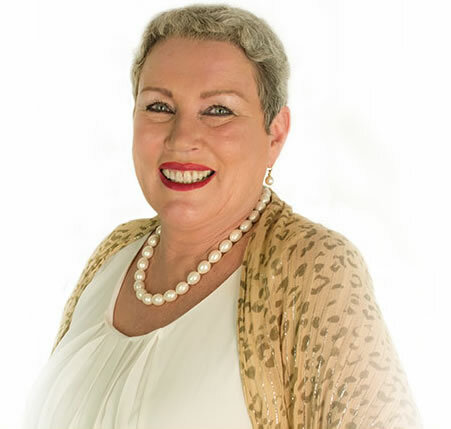 If you loved the stories of Sara Henderson and Sheryl McCorry you will never forget Toni, her family, Killarney Station and the people who made it their home. 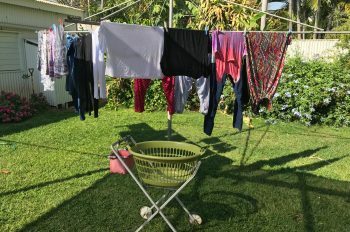 "Just as the Aboriginal people have a deep connection to the land and the songlines, I feel that same spiritual connection to Killarney." 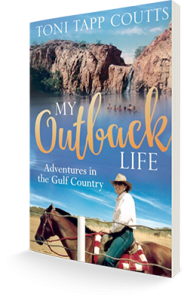 In this memoir, Toni Tapp Coutts celebrates growing up on the cattle station of Killarney with nine siblings and a cast of larger-than-life characters to match the outsized landscape........read the full review in my blog. As well as loving it “just because”, I think it’s a really important contribution to some very real and little known Oz history. Also, a very plain yet potent tribute to Australia’s indigenous people which probably hasn’t existed before. (Even We of the Never Never didn’t live it quite like you have, plus a different era.) 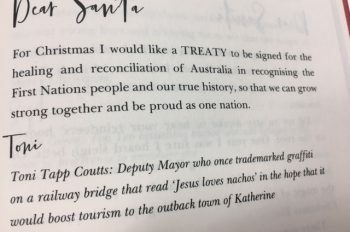 I think you’ve given us “Southerners” a way to understand and appreciate indigenous culture that we didn’t have before, no matter how hard we tried. 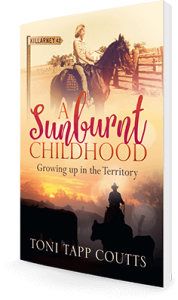 Imagine the biggest canvas any artist ever worked on – this is how A Sunburnt Childhood: Growing up in the Territory made me feel. 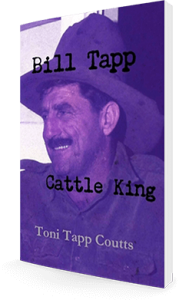 I was drawn into Toni Tapp Coutts’ life story and hardly put it aside until I was finished. I laughed, I cried, it was a rollercoaster of emotion.